We are dedicated to providing exceptional services to businesses in Bakersfield and the surrounding area. At Sparkle, we take a customer-first approach to our services. Our focus is on providing rental programs that make our customers’ lives easier, not more difficult. Take a look at some of the services we provide in Bakersfield! How customers perceive your business is just as important as the work that your business actually does. Your work uniforms send a message about the quality of your work and the integrity of your company, which is why it’s essential to choose uniforms that promote your brand and enhance your business image. We carry professional and comfortable work apparel options from RedKap, the leading manufacturer in workwear. Our uniforms are comfortable, stylish and durable, and they’re up for the task. We also provide flame-resistant garments that are compliant with OSHA regulations to protect your workers against flash exposure to fire or electric arc. Keep your floors clean and safe with floor mats and mop services from Sparkle! We carry a wide variety of entrance mats and walk-off mats to fit every type of business. From scraper and anti-fatigue mats to logo and specialty message mats, we have an option that fits your needs for style and floor protection. Plus, our durable and effective mops will make cleaning your floors simple and hassle-free. The cleanliness of your restroom reflects on the quality of your business. Stay in stock with our restroom program! We’ll install and maintain air fresheners, soap dispensers and towel dispensers, refreshing your supply of restroom products regularly so you’ll never run out of the essentials. Whether you need stylish server aprons or durable towels for your kitchen, we have you covered. We can provide your hospitality business with a wide range of hospitality uniforms and linens in a variety of styles, colors and sizes. Outfit your restaurant with only the best! We have a full catalog of chef wear, cook apparel, maintenance uniforms, table linens, aprons and towels. We are the preferred supplier of scrubs, patient gowns, sheets, blankets and towels to healthcare businesses in the Bakersfield area. We can keep you supplied with the textile products you need to take care of your patients safely and comfortably. Contact Us to Learn More About Our Linen Uniform Services in Bakersfield! 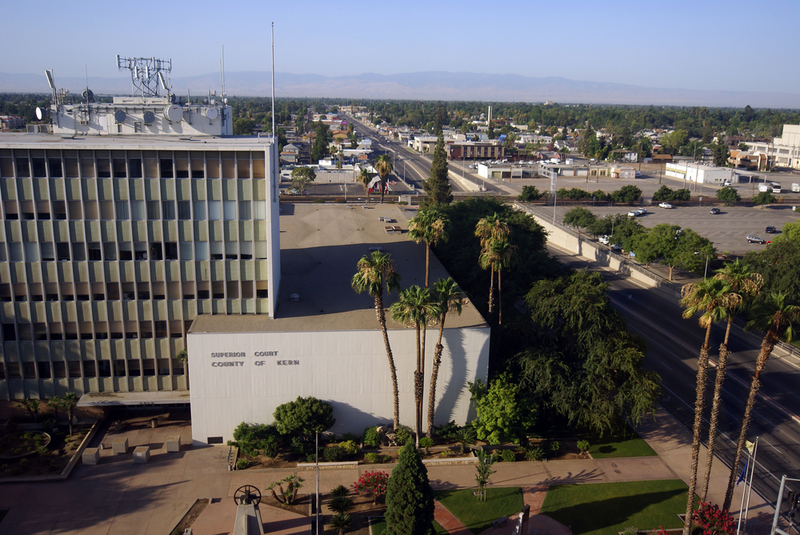 Trust us – we know Bakersfield better than anyone, and we know what it takes for your business to be successful. You can depend on our years of experience and our track record of excellent customer service. Contact us today to learn about the linen and uniform services in Bakersfield that will revolutionize how your business does laundry!